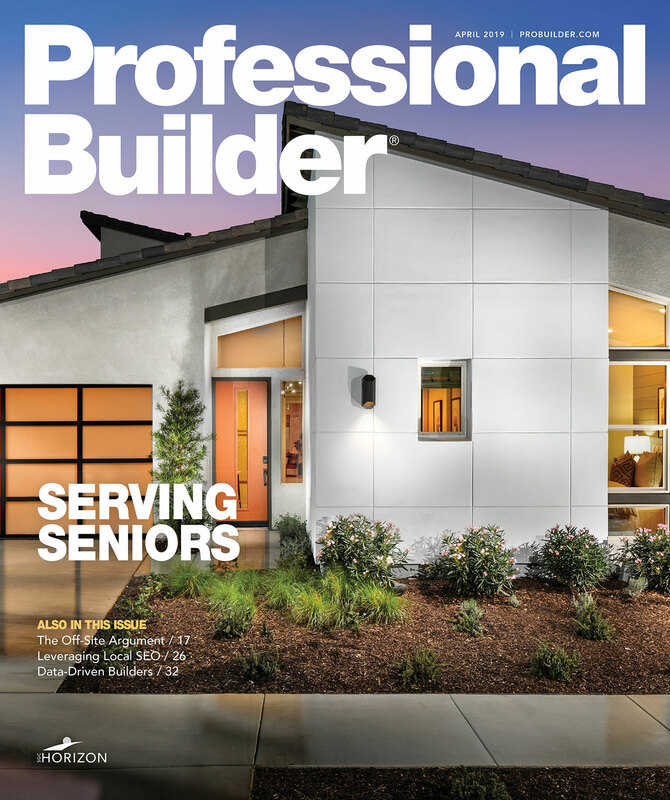 Products from Arriscraft, Bio-Microbics, Boral, CertainTeed, DaVinci Roofscapes, Environmental StoneWorks, Foundry, James Hardie, Mid-America, Nichiha, Ply Gem, Porous Pave, ProVia, and Tapco. 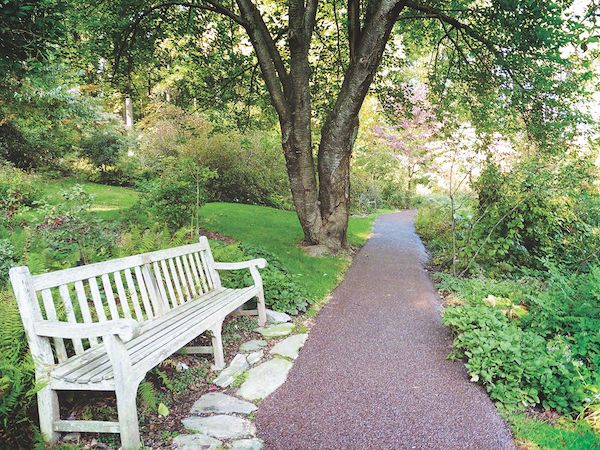 Porous Pave manufactures porous, durable, and flexible surfacing material made from recycled rubber, aggregate, and a binder. The surfacing is engineered with up to 29 percent void space, so water permeates down into a compacted aggregate base before slowly filtering into the ground. The paving can be used on driveways, sidewalks, patios, pool surrounds, and terraces, and can be installed on slopes up to 30 degrees. Using the recycled rubber from more than 200,000 tires, the company has manufactured and installed enough of its permeable paving material to keep more than 6 million pounds of scrap tires out of landfills. From manufacturing to installation, Environmental StoneWorks provides a start-to-finish approach to help home builders create exactly what they envisioned. With a team of project managers that oversees the entire job, field support meant to improve and maintain communication, and safety programs to reduce risks as much as possible, all aspects of the stone veneers are managed under one roof, streamlining the entire process. Environmental StoneWorks products are available nationwide through quality building material retailers. Whether it is siding and accessories, windows and doors, trim and molding, stone veneer, or roofing, Ply Gem’s portfolio of brands offers builders a huge selection of exterior building product solutions. 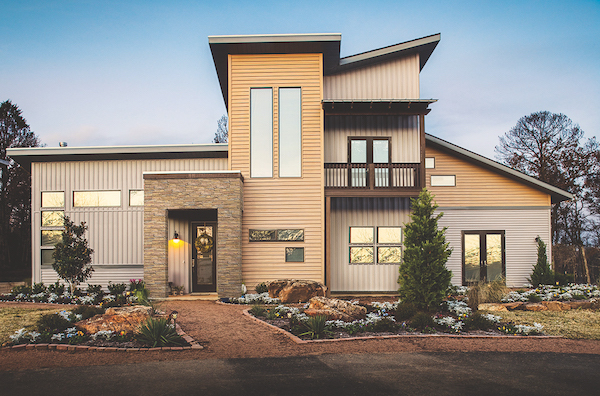 With over 8,000 trained associates across the country, Ply Gem, and its large portfolio of products, provides almost anything a builder, remodeler, or architect may need to create low-maintenance and energy-efficient homes. 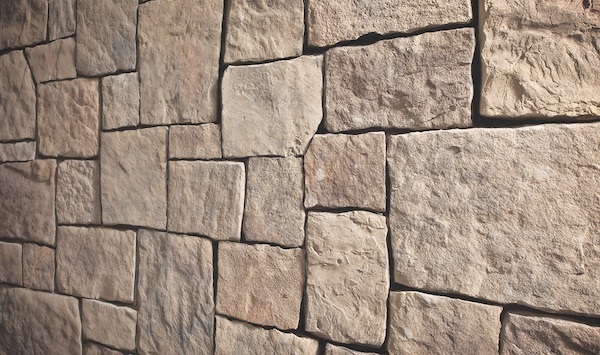 Cultured Stone by Boral wall veneers are designed to mimic the look of natural stone, yet actually improve upon it with a more consistent color, quality, and weight. Durable, sustainable, and performance-focused, the product is almost completely maintenance-free, the company says, and only needs occasional light washing to remove dust and dirt. No painting, coating, or sealing is required. The veneers contain 54 percent pre-consumer waste-stream material. 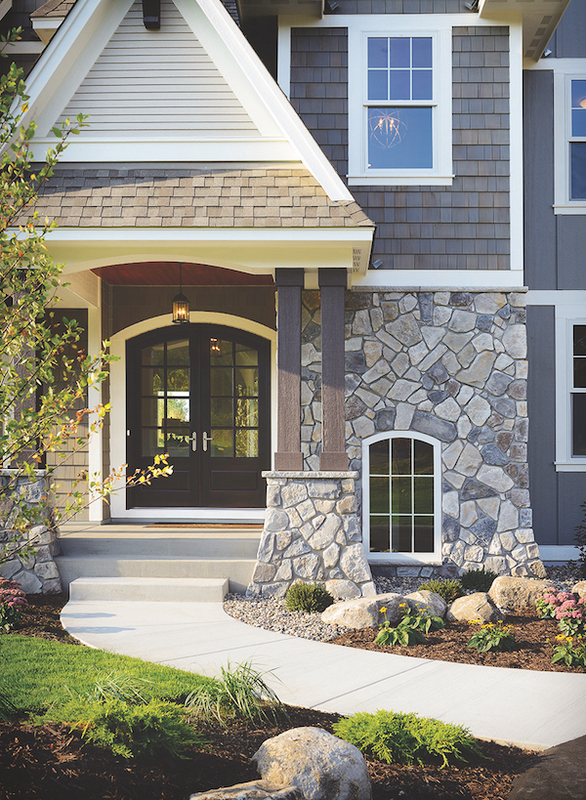 All Cultured Stone by Boral veneer products are backed by a 50-year limited warranty, and the product is engineered to meet or exceed specifications for all major code approvals. 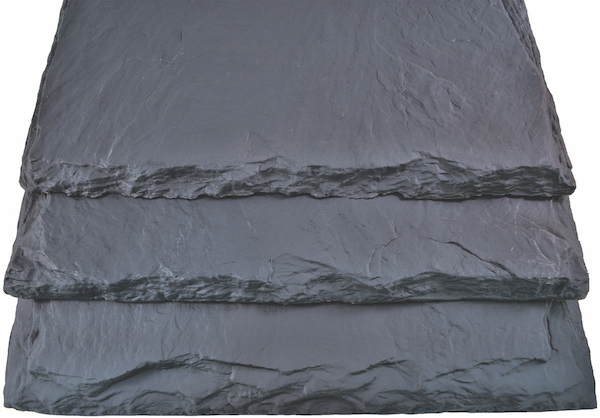 This line of synthetic slate roofing materials offers the beauty of natural slate without its shortcomings. At one-half the cost of installed natural slate, DaVinci’s durable slate roofing is economical as well as lightweight, freeze/thaw resistant, Class A fire-rated, Class 4 impact-rated, and wind resistant to 110 mph. The tiles are available in Multi-Width Slate (12, 10, 9, 7, and 6 inches wide), Single-Width Slate, and the Bellaforte line in a 12-inch width. The low-maintenance tiles resist algae and moss growth and come in 50 standard colors. Mid-America, a Tapco Group brand, offers a large selection of exterior products including shutters, window and door trim, mount blocks, utility and siding vents, gable vents, and roof ventilation in a wide range of sizes, colors, and architectural styles. Mid-America products are impervious to moisture and insects, do not require painting, and are made in the U.S.
Presidio is a metal roofing line from CertainTeed that replicates the appearance of slate, clay tile, and wood shake roofing. The Energy Star-qualified material is manufactured with up to 50 percent recycled material and is 100 percent recyclable when ultimately removed due to renovation or demolition. Presidio is made with durable, deep draw steel to achieve weather resistance, solar reflection, and noise reduction and its fade-resistant surface with a patented anti-corrosive coating can decrease the amount of heat transferred into a house. 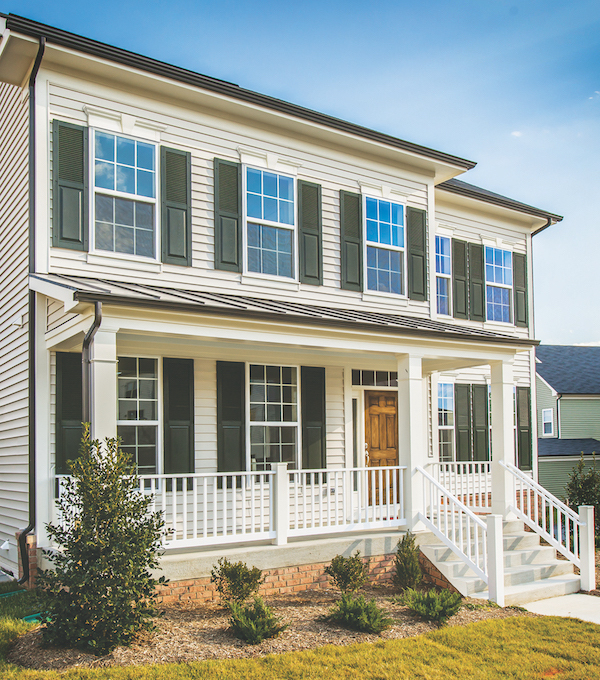 James Hardie makes fiber-cement siding and trim that's engineered to withstand the specific climate in which the product is used. Customers are matched with the right product for their region through the HardieZone system. 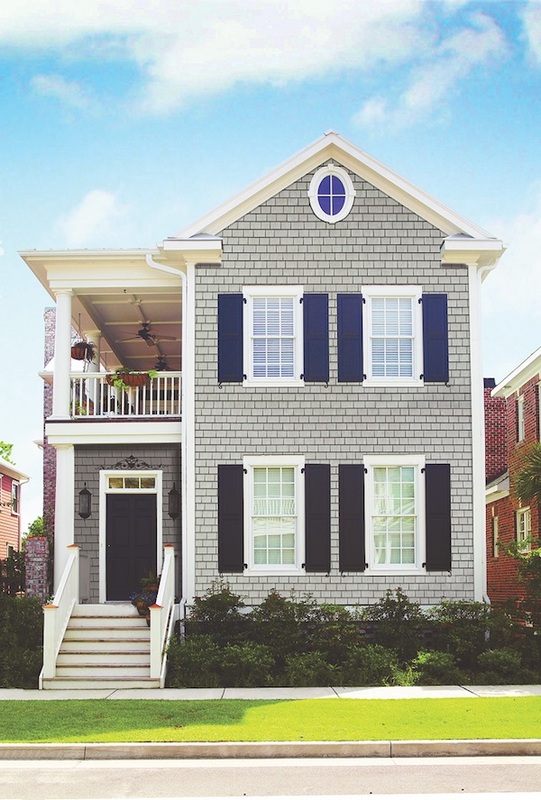 All products are primed and ready for field painting, but builders can also opt to order siding and trim treated with ColorPlus Technology, which adds a durable finish that's covered by a 15-year limited warranty protecting against peeling, cracking, and chipping. 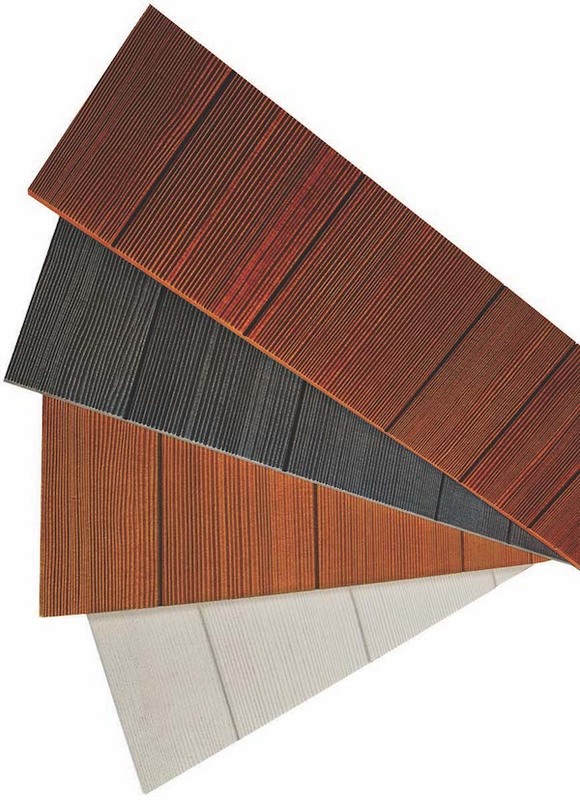 Split Shake is Foundry Specialty Siding’s most popular vinyl cedar shake siding. A Tapco Group division, Foundry makes its shakes from multiple molds of genuine cedar to achieve a warm, authentic look with random grooves and grain. The deep texture also creates a captivating contrast between light and shadow. Split Shake is available in 7-inch exposure and comes in 23 colors, which hold their hues thanks to a durable ASA cap that protects against ultraviolet rays and the elements. At ½ inch thick, Nichiha manufactures what it claims is the thickest fiber-cement shake available. Made from sustainable materials such as FSC wood pulp and fly ash, Sierra Premium shakes feature depths and shadows that look like real wood shake. Nichiha coated the shakes with sealer and primer and partnered with PPG to apply a sandstone basecoat and two coats of PPG’s semi-transparent finish to deliver deep, rich colors and protection from the elements. Sierra Premium is guaranteed not to rot, warp, delaminate or fall victim to pests, and the finish is covered by a 15-year limited warranty. Available colors include Terra, Shadow, Hazelnut, and Primed. Adair Marble Overlay from Arriscraft lets architects and builders incorporate quarried limestone into both interior and exterior settings. The product is adhered to a suitable solid substrate and installed with dry joints with no mortar. The thin, easy-to-install limestone units create a dry-stack design that can be laid in horizontal or vertical patterns, and the lengths are randomized to allow for more custom designs. Adair Marble Overlay's variations in color and pattern add to its unique character. Designed as an architectural feature for applications including fence and railing accents, the Column Collection from Ply Gem Stone allows builders and contractors to add curb appeal and character to a house. Columns are molded from a Civil War-era ledgestone fence and then hand-painted. No mortar is required. The Column Collection is similar to quarried stone with an authentic, variegated design. 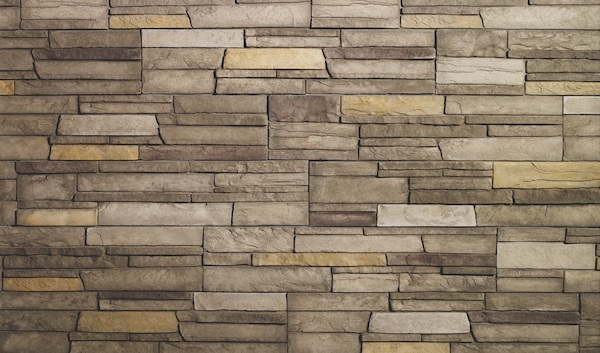 It comes in two colors: the natural-looking Canyon (shown), and Mystic, a dark gray that fits modern designs. 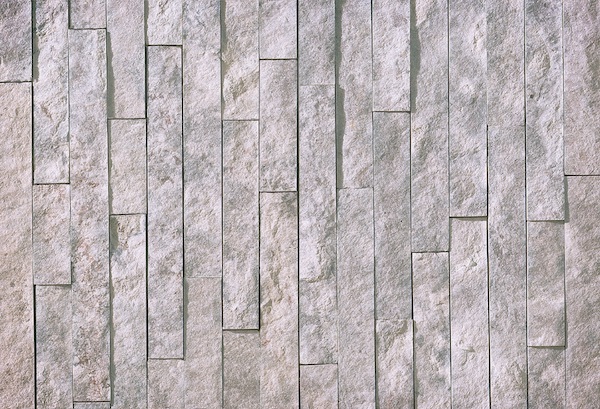 ProVia has added two product lines to its Heritage Stone manufactured stone collection. The first, Heritage Natural Cut Stone (shown) has fossilization features and color variations that reflect those found in nature. It is available in three colors: Woodbridge, Fernwood, and Ashworth. The second is Heritage PrecisionFit Stone Panels, which attach for a precise fit and quick installation, with irregular edges and dynamic patterns in a stacked-stone look. Available colors are Sage Grey, Adobe Sands, and Driftwood. The BioBarrier Membrane Bioreactor wastewater treatment system treats blackwater and graywater through the use of a membrane process of microfiltration and ultrafiltration with a suspended growth bioreactor. Micro-size pores in the durable flat membranes separate solids from the wastewater. Completely automated, the system requires no backwash functionality and is ideal for environmentally sensitive areas and water reuse applications. Versetta Stone, a panelized nonstructural, cement-based manufactured stone veneer from Boral, offers the look of traditional stone masonry but at a lower cost and with less installation time. The lightweight aggregate materials make Versetta Stone one-fourth the weight of full-thickness stone. Panels install with nails or screws and have an integrated moisture management system. No additional support footings are needed, and there is no need to paint, coat, or seal. Versetta Stone comes in two cuts, ledgestone and tight-cut, and five colors, including two new hues: Graphite (dark gray) and Mission Point (light gray). Made from cellular PVC, Kleer PVC Trimboard, a product from the Tapco Group’s Kleer Trimboard division, is available with Kleer’s innovative TruEdge. 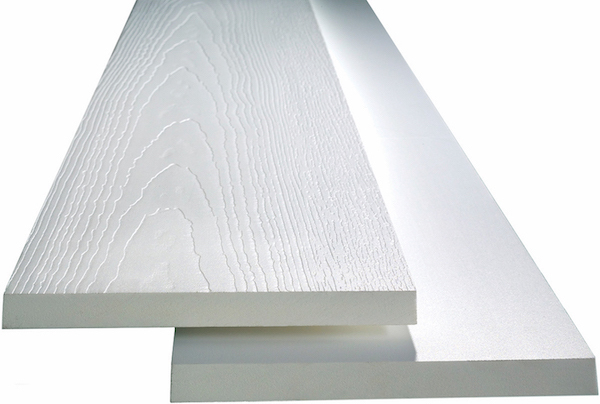 TruEdge features sealed edges that resist stains from dust and dirt and provides a smoother finish than wood or other PVC boards. It also has UV inhibitors to protect it from the elements over time. 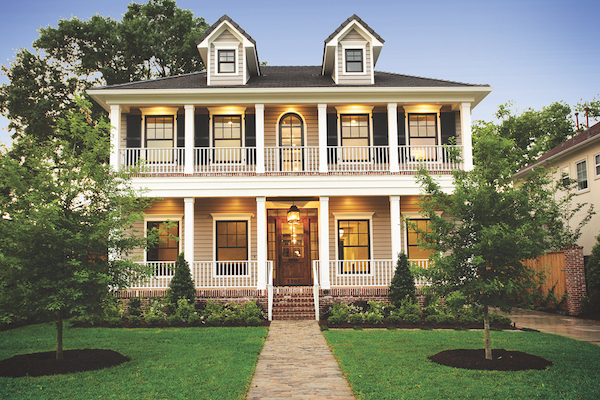 Grayne composite siding offers the look of aged cedar with a weather-resistant surface that doesn’t absorb moisture. 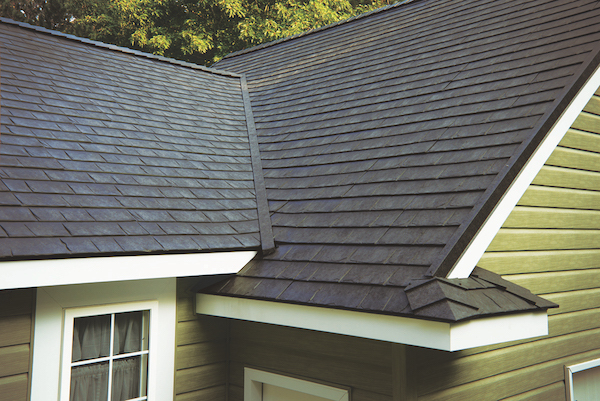 Produced from the same cutting process used for making cedar shingles, Grayne, from Tapco, can be used to replace or complement fiber cement or engineered wood siding. 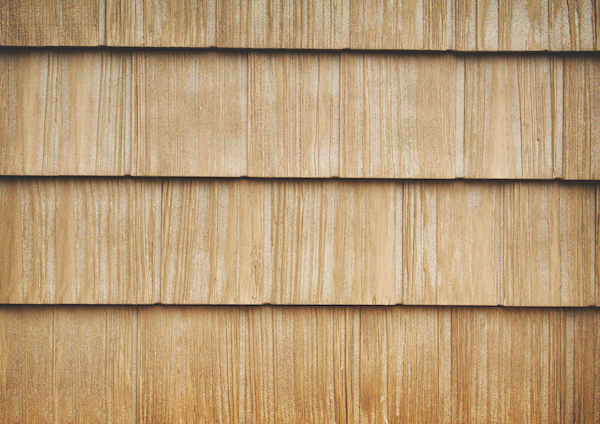 The plain sawn shingle profile features realistic grain patterns. Natural wood grain textures are visible on all surfaces. The color palette consists of six pre-finished cedar colors, including Lakeside Blue, Aspen Brown, and Ridge Moss.